Do you have a story in mind that we can help tell? Contact us and we’ll get back to you about our process and getting you a proposal. We’ll start with an informal discussion about your story, and then get you a brief to fill in the details. Check out our 6 phased project process. Are you a Pastor or Church? Did you know we offer free consulting to churches? No, seriously. No, seriously. It’s free. No strings attached. No sales pitch. You can make a donation to a charity if you like (Samaritans Purse, Lottie Moon Fund, Worldvision) , but we want to help the church with our resources. We love the church and the Gospel! Do you have a political, organizational, or church event that you need a speaker for? Our bards are award-winning storytellers. From winning first in state in speech competitions, to serving as a pastor for half a decade, to speaking before governors, television cameras, and more. 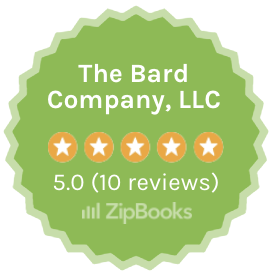 At the Bard Company, we don’t see ourselves as just marketers or consultants. We see ourselves as bards. The Bard Company is a full service digital marketing agency that exists to help people tell stories that move audiences to measurable and meaningful action. Interested? Contact us! We Love Hearing New Stories! Seriously. We love all types of people and stories. From after-market auto parts, to presidential political campaigns.